After an investigation by the NJ Attorney General's Office, a former car salesman along with several other accomplices were charged with title fraud and other offences for selling Super-storm Sandy damaged cars to unsuspecting used car buyers. According to MyCentralJersey.com, Jonathan Olin, 42, of Manalapan, the former operator of D&D Auto Sales, plead guilty to second degree theft by deception. He admitted to orchestrating a scheme in which fraudulent titles were obtained for eight flood vehicles, seven of which were then sold to unsuspecting customers by Pinky N Brain Corp NJ, doing business as D&D Auto Sales. Also charged in the scheme were Jessie Dinome, 30, of Jackson, who formerly worked as a technician at the Freehold Motor Vehicle Agency. She pleaded guilty to third-degree tampering with public records or information. 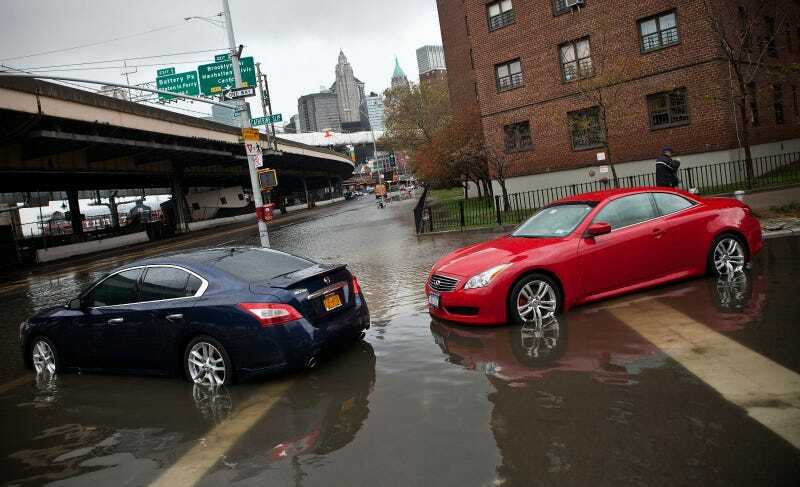 Also A former car salesman at D&D Auto Sales, Jacob Douek, 40, of Staten Island, N.Y., faces pending charges for allegedly deceiving customers about the flood vehicles. The defendants carried out the fraudulent scheme from February through July 2013. The dealership acquired eight vehicles at auction that sustained flood damage during superstorm Sandy. The eight flood vehicles acquired by Pinky N Brain were all insured by the same company, which paid claims on them as total losses after Sandy. The insurance company had the vehicles auctioned without titles under "bills of sale," designating them as to be used "for parts only." It's not often that fraudulent sales people actually see prison time, but given the amount of deception and potential danger these vehicles could have caused, it is nice to see the courts come down hard on individuals that really deserve the "stealership" label.